Photograph depicts an advertisement for BC Telephone Company, done for Lovick. 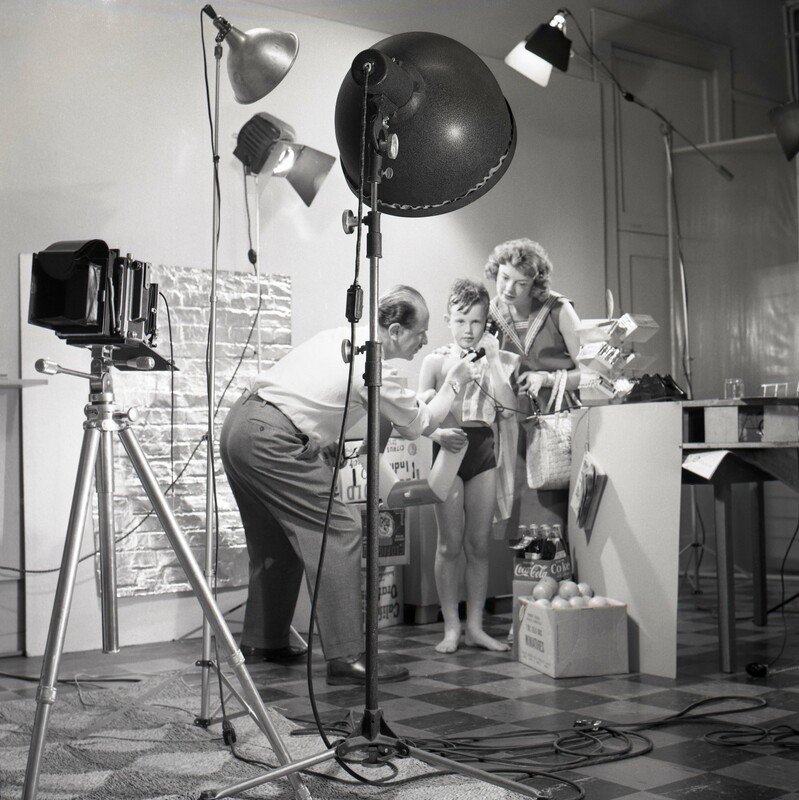 Photograph also depicts Fred Schiffer setting up. Boy is likely Richard Tattersall.